the fisrt version of the RAMBLE ON EXTRACTOR, that is the script to generate trajectories of movements starting from English Wikipedia biographies. The code of the EXTRACTOR: https://github.com/dhfbk/rambleon (license: GPLv3). S. Menini, R. Sprugnoli, G. Moretti, E. Bignotti, S. Tonelli and B. Lepri. 2017. 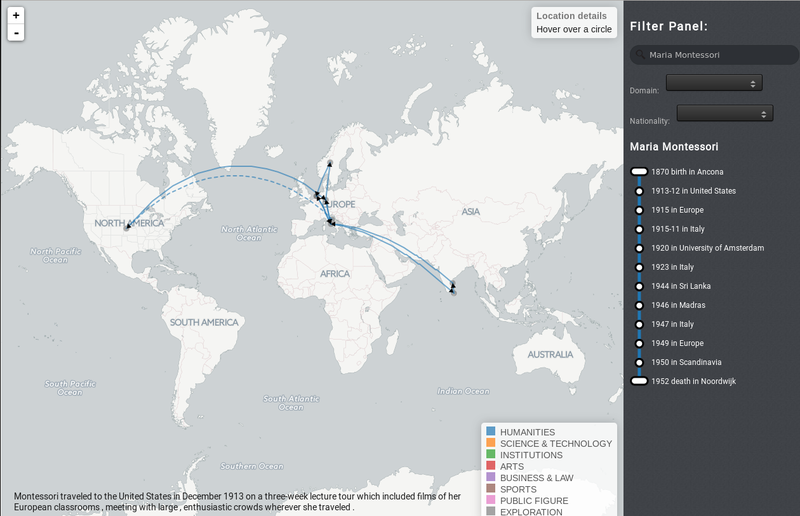 "RAMBLE ON: Tracing Movements of Popular Historical Figures". In: Proceedings of EACL 2017, Conference of the European Chapter of the Association for Computational Linguistics.